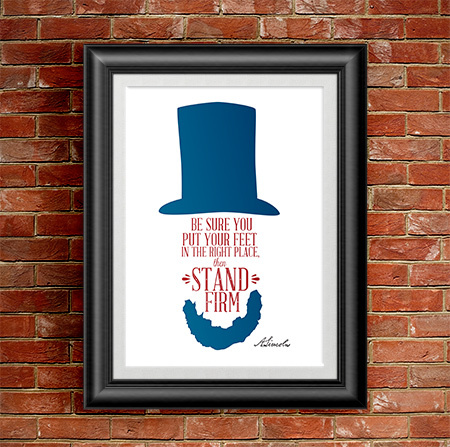 FACT: Abe Lincoln was the first president to sport a beard while in office. With that in mind, our first Republican president may have also been our first “hipster” president. That’s why this unique custom art print will go great in your nephew’s college dorm room. It’s positive message and a great reminder that being a Republican isn’t always trendy, but it means you’re on the right side of history. We’re talking about beards here, right?